We all appreciate the dedication of our emergency service personnel. 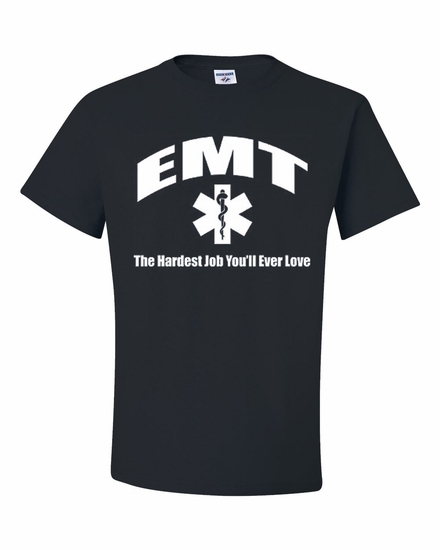 Show them you care with our EMT-The Hardest Job You'll Ever Love t-shirts and sweatshirts. For a unique gift, add an EMT-The Hardest Job You'll Ever Love coffee mug-perfect for their favorite beverage. Remember� you found the EMT-The Hardest Job You'll Ever Love Shirts at TShirtHub.com, where high quality came at a low price.